"I Can Only Imagine" It's the song that brings ultimate hope to so many. Bart Millard's inspiring real-life story behind the beloved MercyMe song will encourage people in a whole new way. 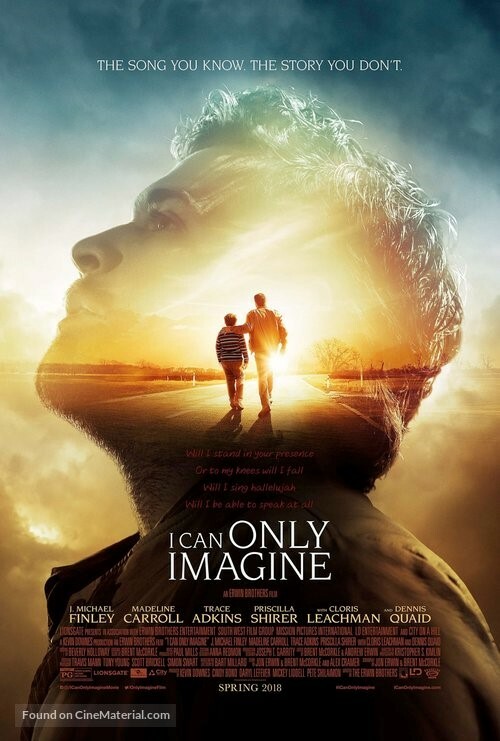 I CAN ONLY IMAGINE is a gripping reminder of the power of forgiveness, beautifully illustrating that no one is ever too far from God's love-or from an eternal home in Heaven. In this four week study, we'll examine the themes of the Father's love, forgiveness, redemption and eternity. This study has the potential to bring hope and healing into our lives.